Background/Info: “Vampire” is the second single taken from the upcoming new full length “Un:Gott” by Blutengel. The new single got released at the end of 2018, which is 20 years after Chris Pohl set up Blutengel. Content: “Vampire” sounds like typical Blutengel. You’ll easily recognize the typical melodic- and danceable side while empowering guitar parts inject an extra boost to the song. The song has been sung in English featuring the usual female – angelic backing vocals. We next get 2 remixes by Pseudokrupp Project and Six Faces plus the expected B-side song. 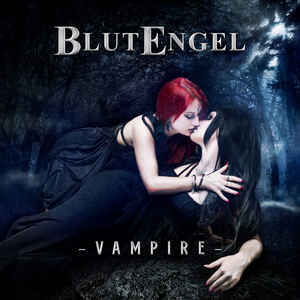 + + + : “Vampire” is for sure one more hit that Blutengel will add to the already impressive list. This song holds on the good-old success formula of the band, but I especially like the empowering guitar parts accentuating the dark-wave approach. Both remixes are pretty cool, but I especially want to mention the more club-orientated version by Pseudokrupp Project. 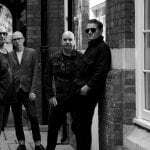 – – – : “Auf Deinen Wegen” is a less inspired B-side song, but probably the right one to put on this single. Conclusion: There’s no better appetizer than “Vampire” to announce the upcoming album of this German living legend. Best songs: “Vampire”, “Vampire – Dance Mix by Pseudokrupp Project”.